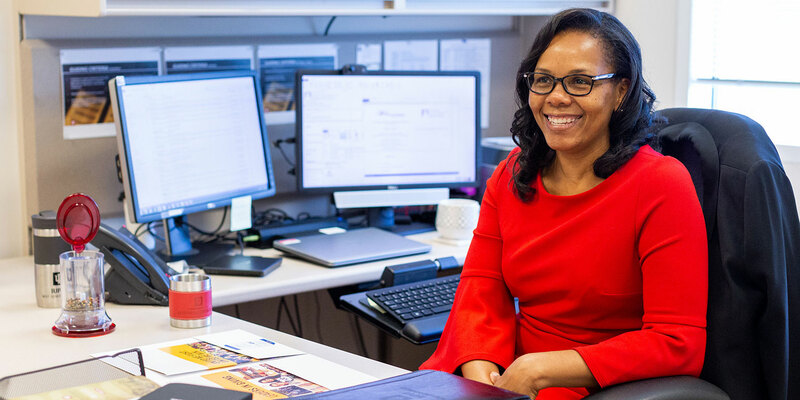 IUPUI Assistant Vice Chancellor for Research and Development Etta Ward doesn't call her college journey unique, but it is certainly a story of hard work and perseverance. A married mother of two as an Indianapolis high school senior, Ward was determined to shape a successful future for herself and her family. "Starting out as a teen mom came with a stigma and a specific narrative, based on the statistics. But my husband and I, by the grace of God, were determined to turn that narrative on its head. Through prayer and hard work, I was able to complete my undergrad in English and even made the dean's list a few times. IUPUI was an important part of my life during this time," says Ward. 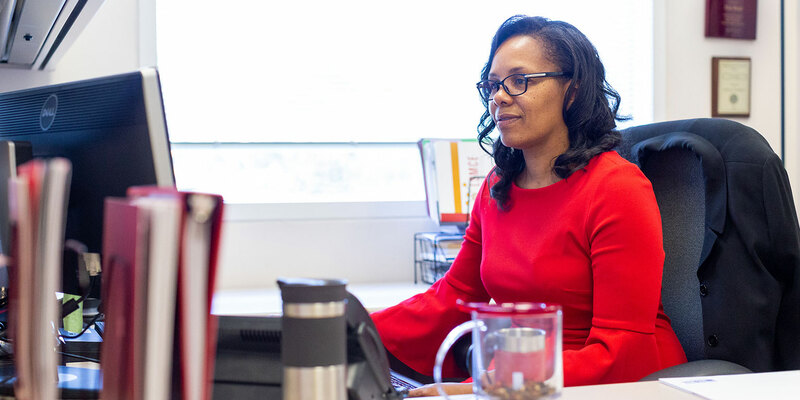 After rising through the ranks at the March of Dimes, Ward returned to IUPUI in 2002 and a year later assumed the directorship position in the Office of the Vice Chancellor for Research. During her years as director, and later executive director, Ward managed many grant programs supporting faculty research and helped to spearhead EMPOWER (Enhanced Mentoring Program with Opportunities for Ways to Excel in Research), advancing the research activities of women and minority faculty. She eventually pursued and received a Master's in Philanthropic Studies in 2008. Ward also helped create and launch IUPUI's first formal mentoring program for staff and is actively involved with national mentoring initiatives. This fall she will gain a global perspective on effective mentorship in France as a Fulbright Scholar with the Council for International Exchange for Scholars. "I smile when I think about how it has all come full circle. I now work with and support some of the same faculty who taught and encouraged me as an undergrad and graduate student. I count many of them as mentors who guided me through pivotal junctures of my academic and professional journey here at IUPUI," Ward says. 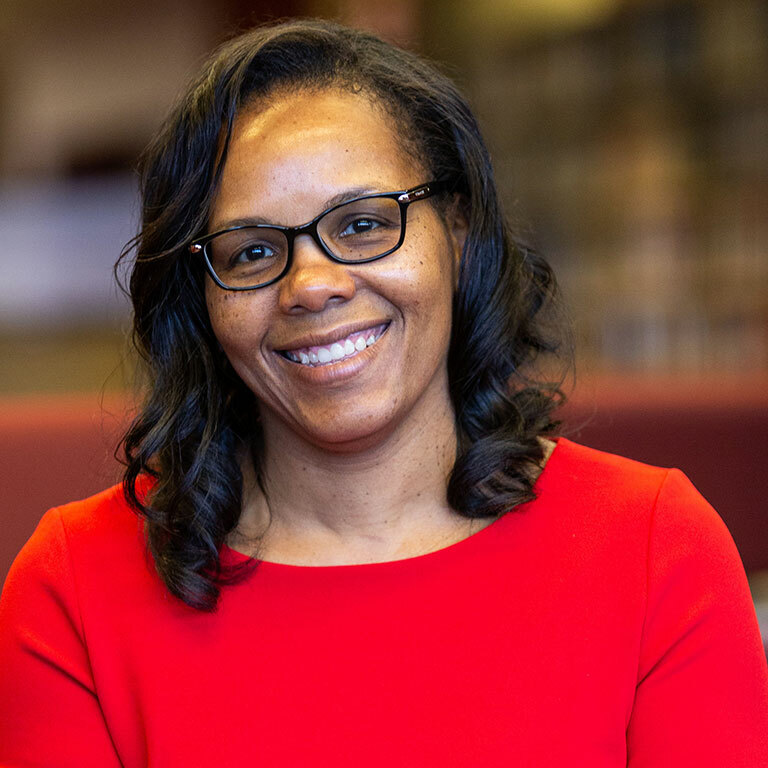 Ward is the recipient of several awards, including the IUPUI Multicultural Staff Impact Award, the Gerald L. Bepko Staff Council Spirit Award, and the United Way Diversity Advocate Award. She is the current president of the IU School of Liberal Arts Alumni Association Board.